Best Christmas Cookies – 40+ of the most delicious and festive Christmas cookies for your holiday baking! Lots of easy and delicious homemade Christmas cookie ideas to make your next party or cookie exchange a success! Baking Christmas cookies is one of my favorite holiday traditions. I like to try new recipes each year, but also always stick with the classics like soft sugar cookies, snickerdoodles, and molasses cookies. It definitely doesn’t feel like the holidays without these delicious traditional Christmas cookies! One of my favorite things about the holidays is coming up with new cookie recipes to share with family and friends. I have so many wonderful memories of baking Christmas cookies over the years, and love when I find yummy recipes to add to my list. Today I’m excited to share some of the best Christmas cookies for your holiday baking! They all look so festive and delicious. 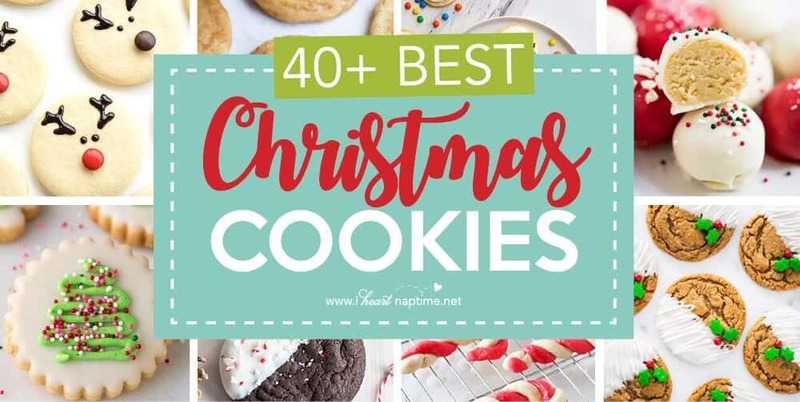 Whether you’re looking for easy Christmas cookies, traditional Christmas cookies, decorated Christmas cookies, and more, you’ll find lots of amazing recipes to try from the list below. Looking to host a cookie exchange this year? Check out this post for some helpful guidelines, and don’t forget to print out my FREE cookie exchange printables to help make preparing for your next cookie swap a little easier. So there you have it…an amazing list of the best Christmas cookies for holiday baking. Lots of easy, traditional, and decorated cookies to choose from. Hope you enjoyed all of these wonderful Christmas cookies. Now get to baking!! Check out this video tutorial of 3 of my favorite recipes for Christmas cookies! I never go a holiday season without making these gingerdoodles, chocolate chip pudding cookies and soft sugar cookies. Seriously the best Christmas cookies ever! 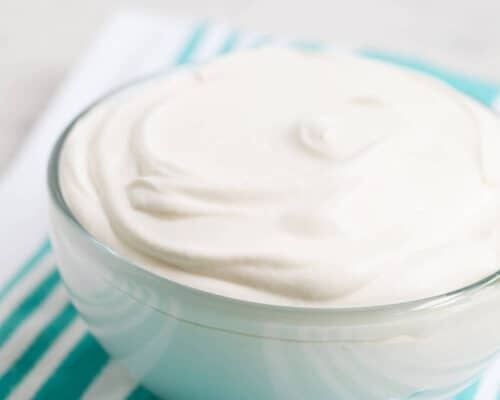 Things get so busy during the holidays, so I’m always looking for easy recipes to quickly whip up. 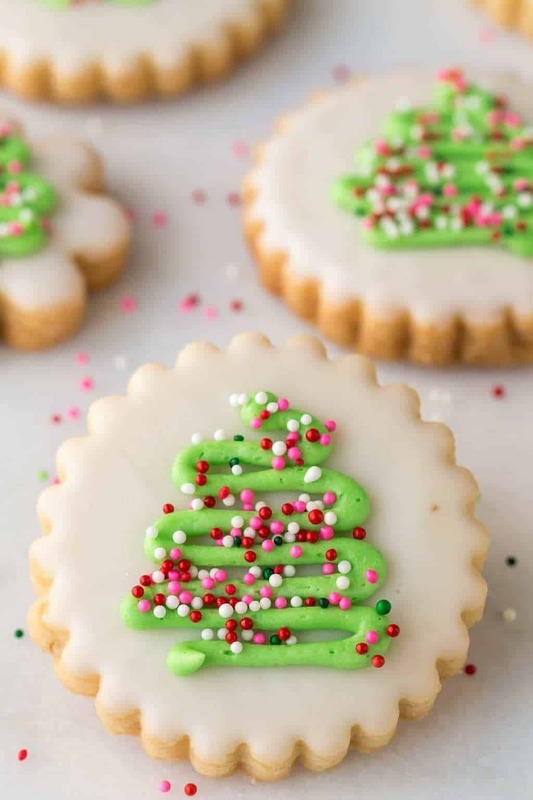 These easy Christmas cookies below are fun, festive, and super simple to make. 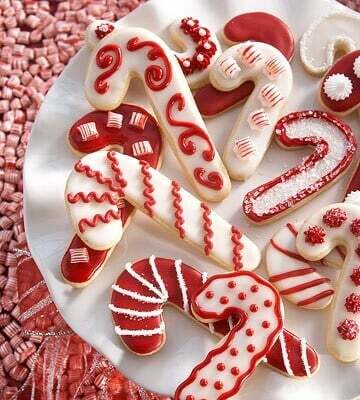 I especially love the peppermint candy cane Christmas cookies. 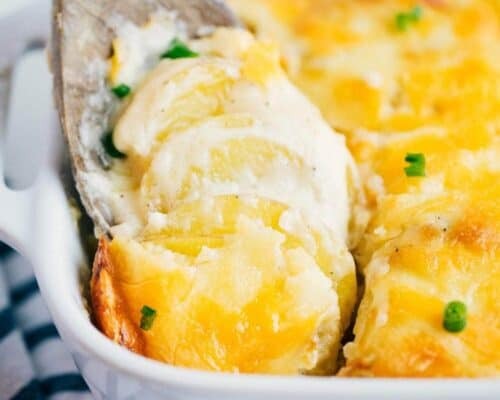 They look fancy, but are so easy to throw together. Plus the flavor is delicious. 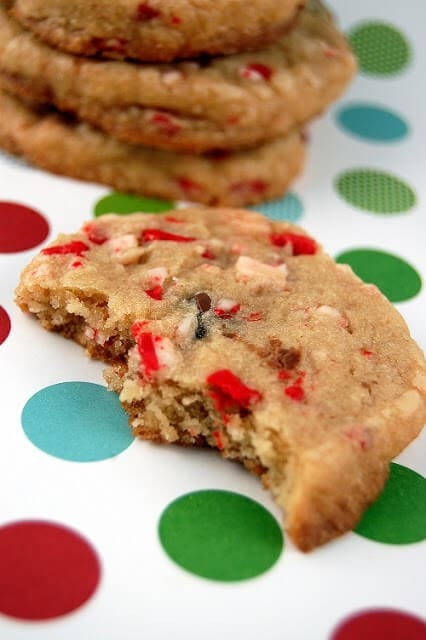 If you’re a fan of simple recipes, you’ll certainly love this list of easy Christmas cookies! 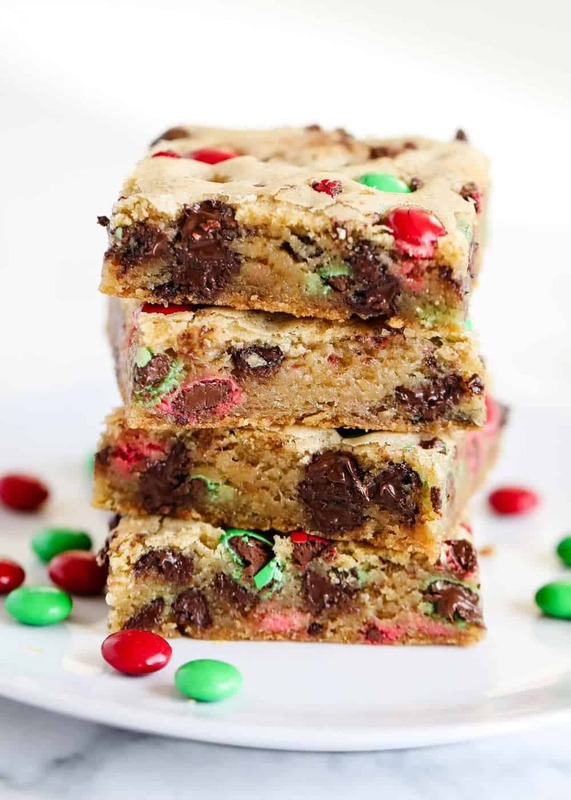 My family loves these M&M cookie bars. The drizzled glaze really puts these Christmas cookies over the top! 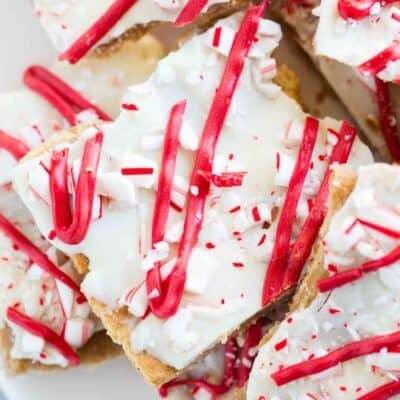 These Peppermint Candy Cane Christmas Cookies are so fun! 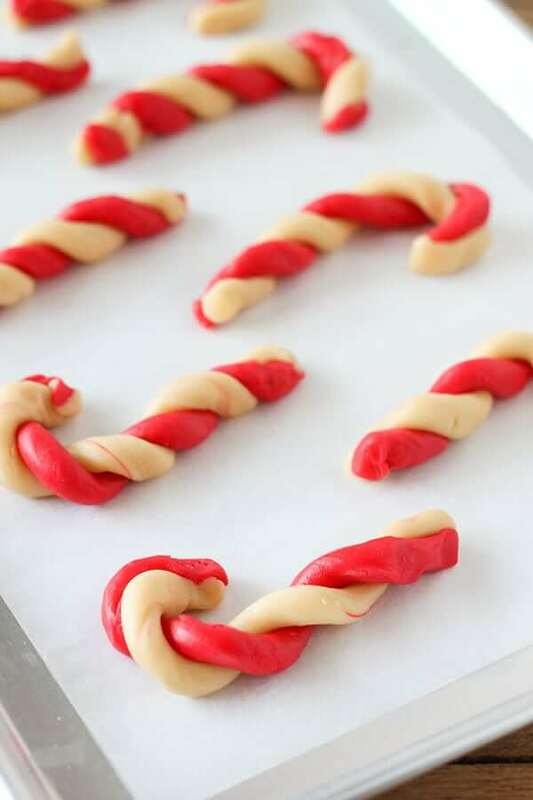 Twisting the white and red dough together to make candy canes is so creative! The peppermint included in these Peppermint Chocolate Chip Cookies helps to make these Christmas cookies perfect for the holidays! If you’ve never tried pudding cookies, you have to give these Double chocolate chip pudding cookies a try! So moist & delicious. 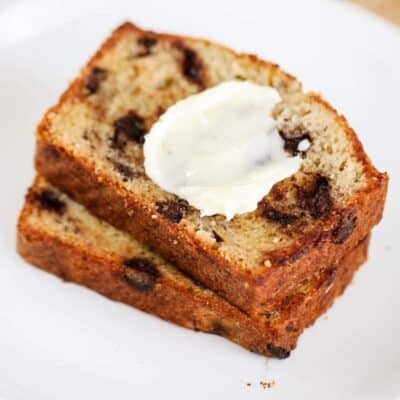 You could add in colored chocolate chips, too! 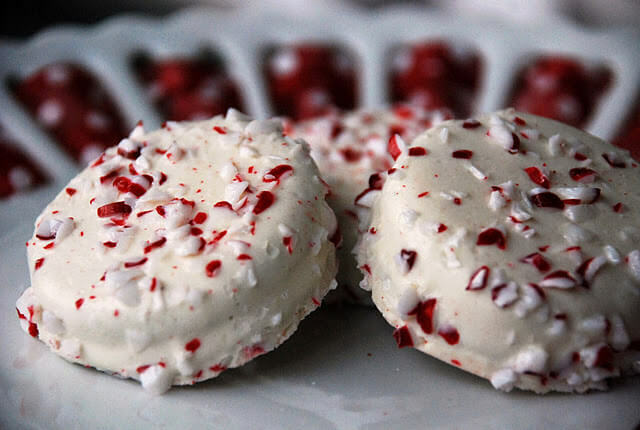 These Peppermint Oreos are a holiday favorite. The flavor combination is out of this world! Another version of cake mix cookies turned green! 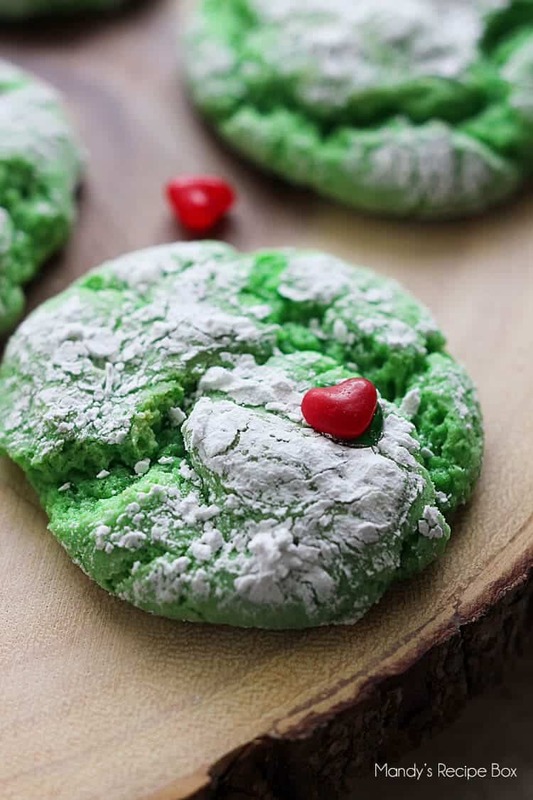 These Grinch Cake Mix Cookies are so easy and are topped with a heart to look like the Grinch! Whenever I bake cookies for the holidays, I always make sure to include the classic Christmas sugar cookies. A cookie plate isn’t complete without some sort of sugar cookie…they are so fun to decorate, and taste amazing. I love all the Christmas sugar cookies included below, however the sugar cookie truffles are my favorite. They take only 4 ingredients and don’t require any baking. My kind of cookie! Hope you enjoy the delicious Christmas sugar cookies below! 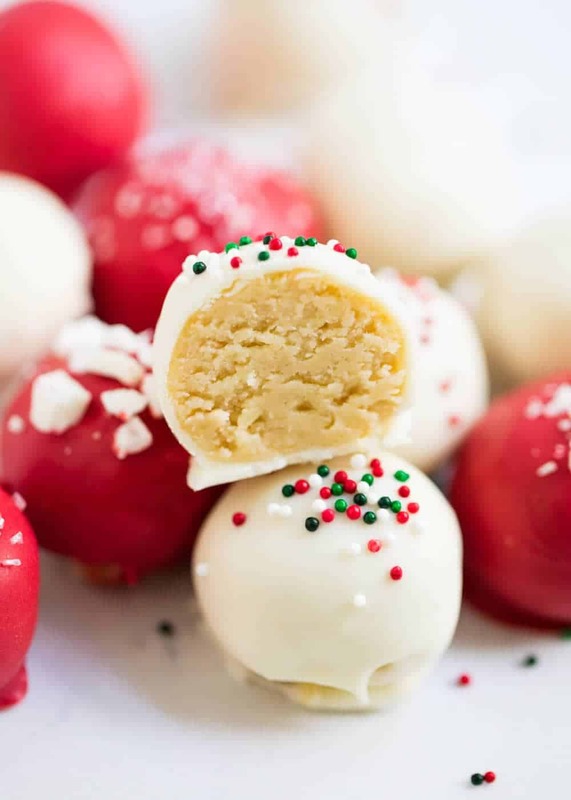 These Sugar Cookie Truffles are the easiest Christmas sugar cookies! They don’t require any baking, and are made with just 4 ingredients! 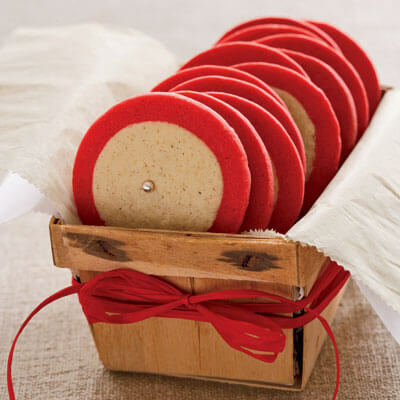 These Red and White Cookies are so festive and simple to make! 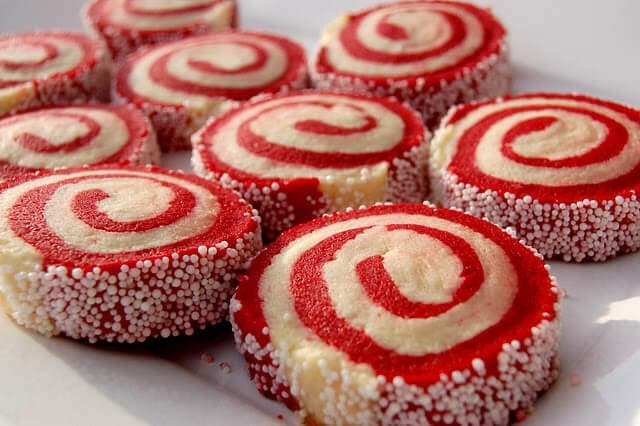 How fun are these Christmas Swirl Cookies?! 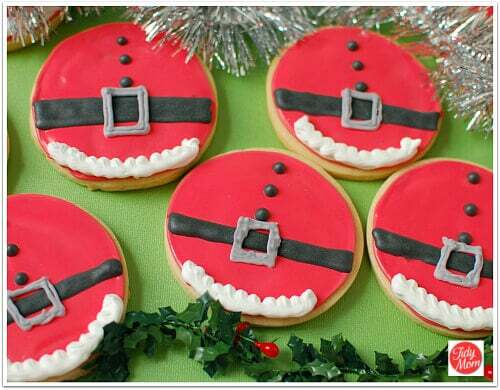 These Christmas sugar cookies will leave your guests raving about how cute they are! 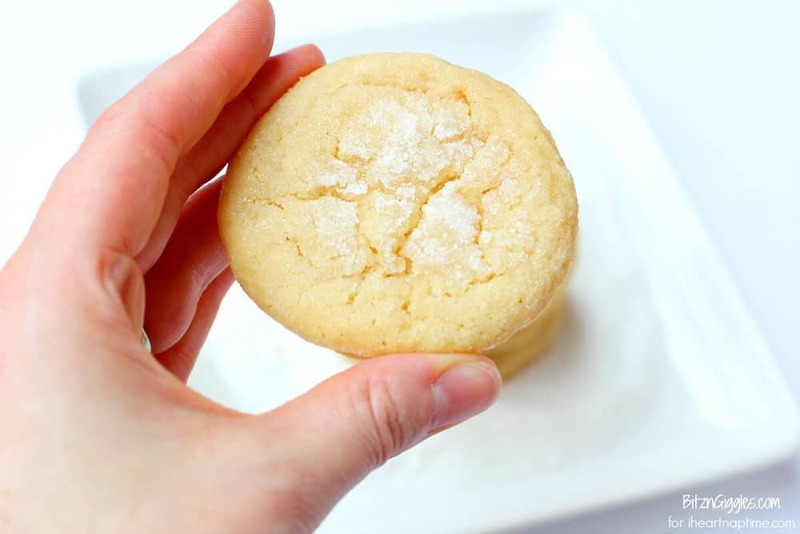 If you’re looking for the perfect sugar cookie recipe, this is it! 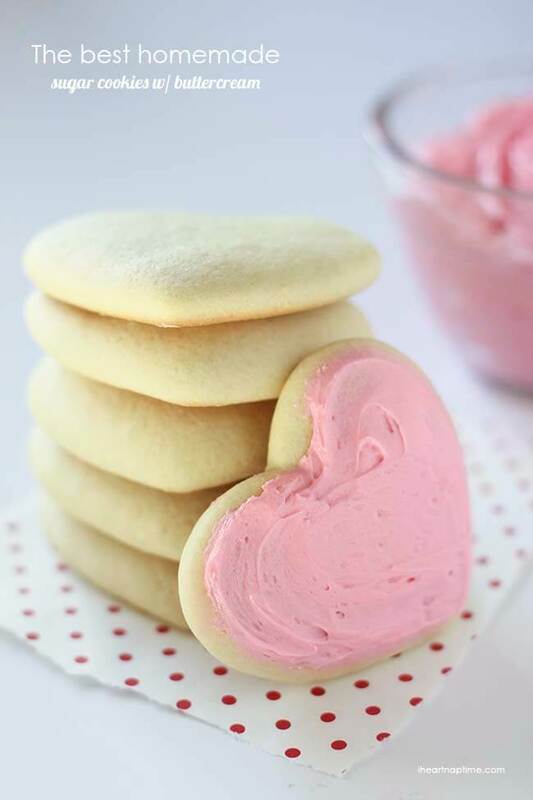 These Super soft sugar cookies are a tried and true recipe of mine that I’ve made hundreds of times! 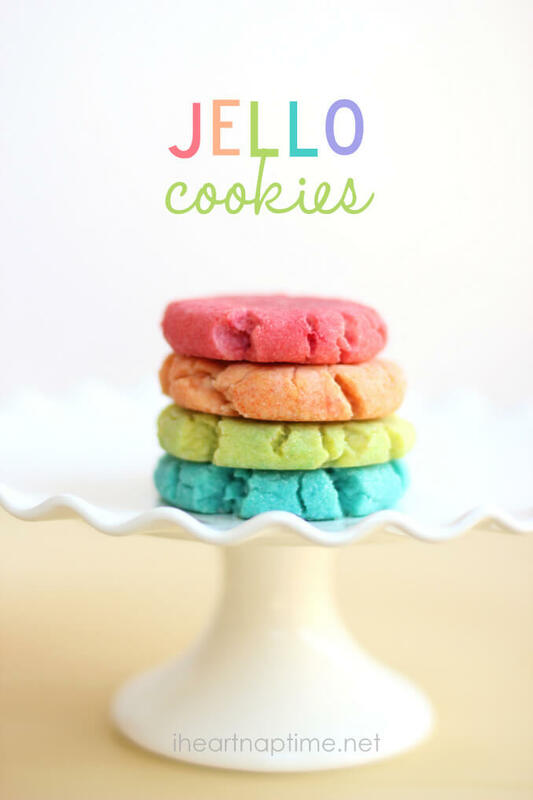 My kids absolutely love these jello cookies. During the holidays, we make lots of red & green jello Christmas cookies. They are so easy & yummy! 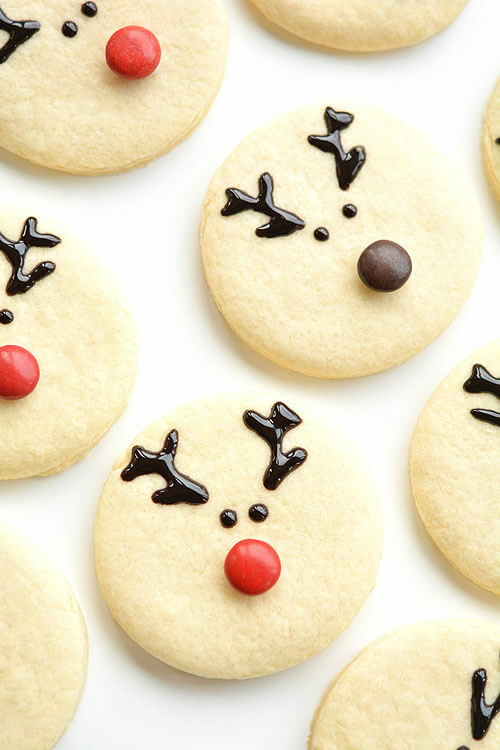 Aren’t these Easy Reindeer Sugar Cookies just the cutest?! So simple yet so adorable! Soft and chewy vanilla Angel Cookies with a delicious sugar glaze that looks just like glistening snow! Cinnamon rolls + cookies = genius, right? 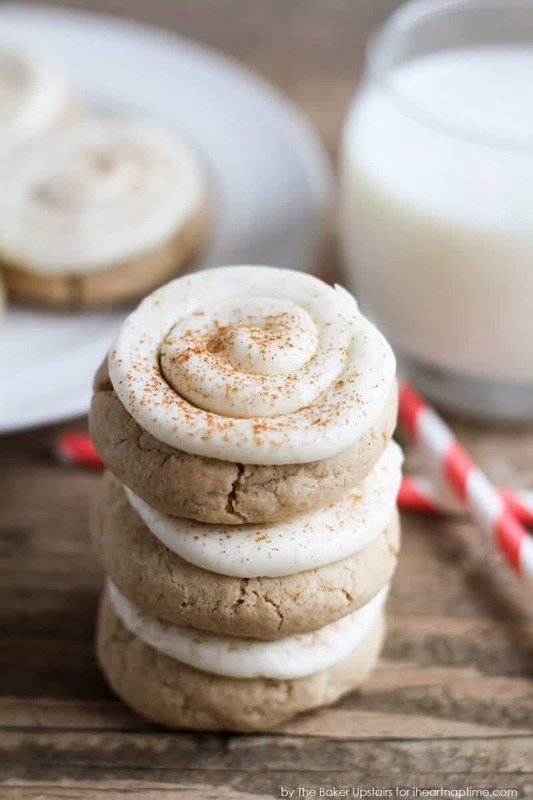 Check out these Cinnamon Roll Sugar Cookies that are topped with an amazing cream cheese frosting! There’s nothing like traditional Christmas cookies. 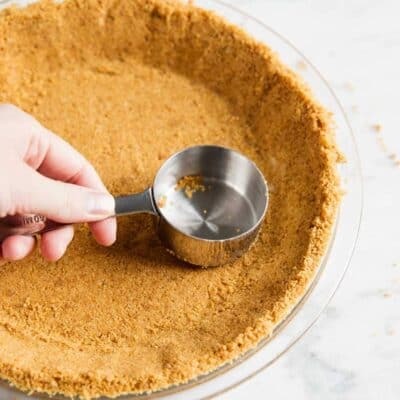 Whether it’s snickerdoodles, butter cookies, shortbread cookies, and more, you can’t go wrong with a traditional cookie recipe! My personal favorites are snickerdoodles because I’m a sucker for the cinnamon sugar coating. And above all, they are so soft and fluffy. Yum! 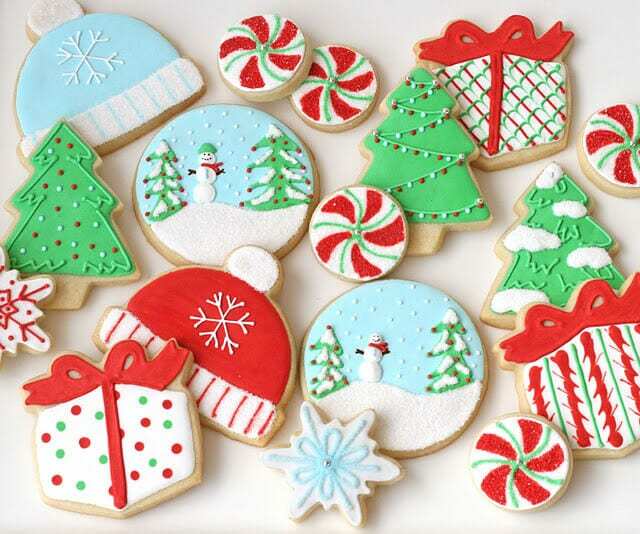 Check out these amazing traditional Christmas cookies below. 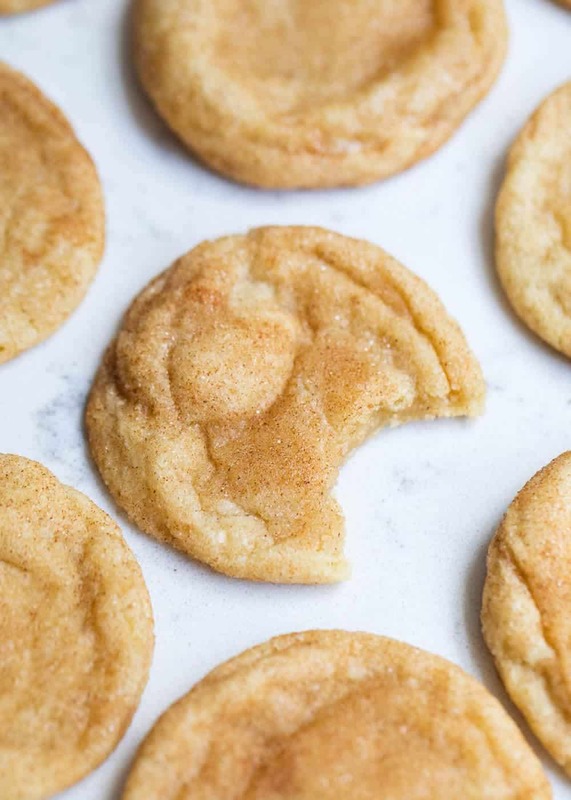 Nothing beats a classic Snickerdoodle. The traditional Christmas cookies are soft, fluffy and rolled in a delicious cinnamon sugar coating. 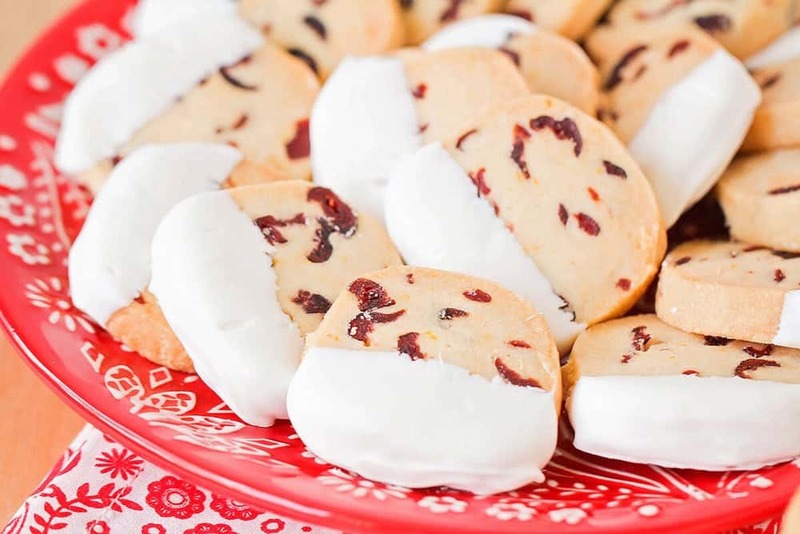 These Cranberry Orange Shortbread Cookies have the best combination of flavors! 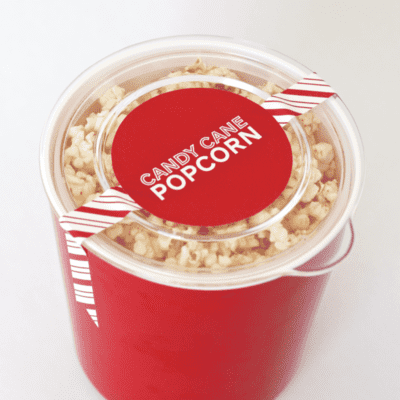 Perfect to share with friends and family this holiday season! We always made Candy Cane Blossoms growing up. I love the red and green colored sugar, and the festive Hershey’s kisses, too! I love a good butter cookie! 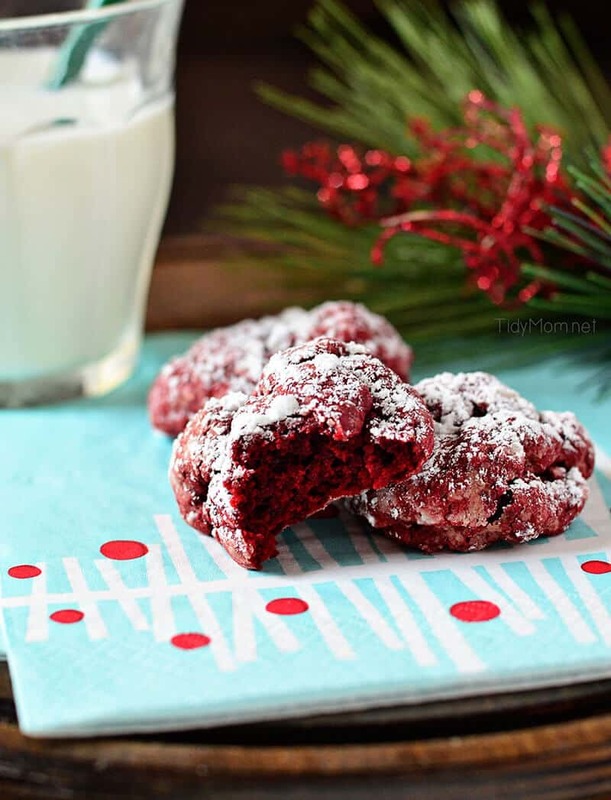 These Red velvet butter cookies are gooey, cakey and have the best red velvet flavor! 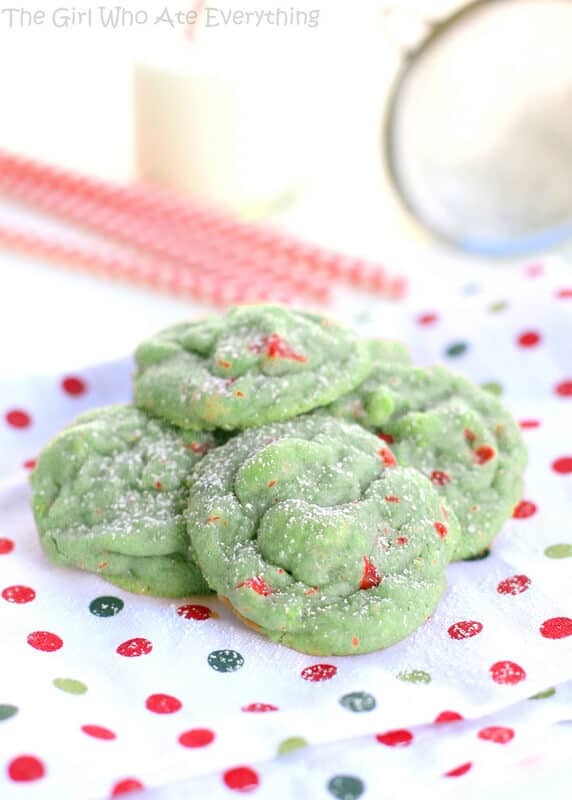 If you’re a pistachio lover, you’ll love these Pistachio cherry melt away cookies. They are soft and have great flavor. Plus the diced cherries add the perfect sweetness! Eggnog is a holiday staple. These Eggnog cookies are one of the best recipes for Christmas cookies and are so soft and delicious! I love the Christmas tree decorations on these Christmas Shortbread Cookies. Don’t they look like they came from a bakery?! 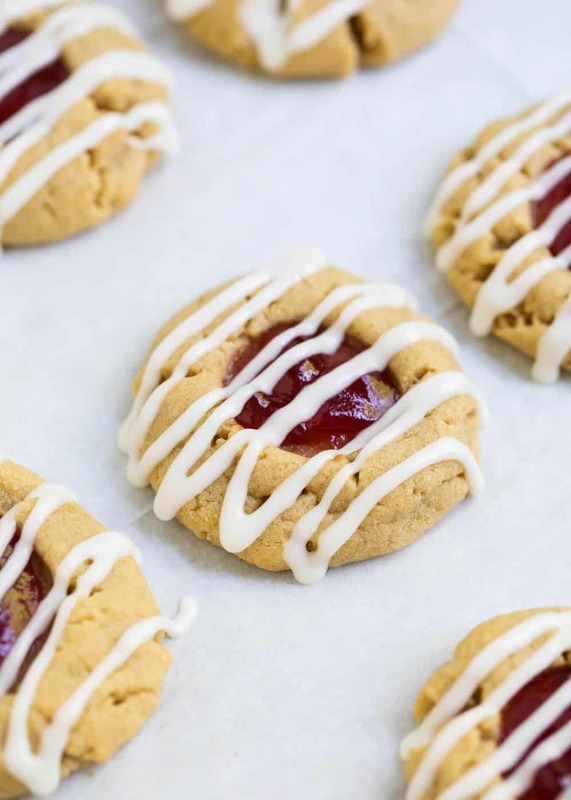 We make these Peanut Butter and Jelly Thumbprint Cookies every year! One of our favorites! 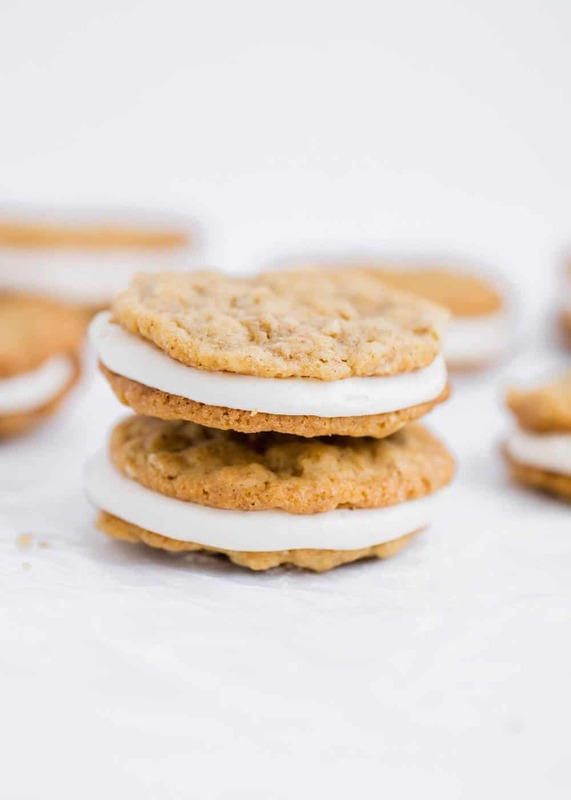 These chewy Oatmeal Cream Pie Cookies are filled with a fluffy marshmallow cream frosting….yum! My favorite part about making Christmas cookies is decorating them! 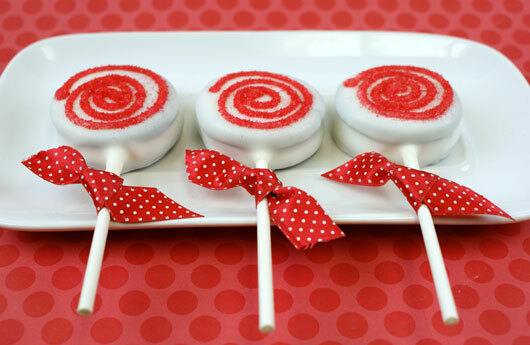 There are tons of cute designs and toppings to include…it’s so fun to be creative! Decorated Christmas cookies are perfect for entertaining, and are always a big crowd pleaser. Your guests will rave about how fun and impressive they are. Whether you dip in chocolate, cover with sprinkles or create a fun design, these decorated Christmas cookies will be a hit! 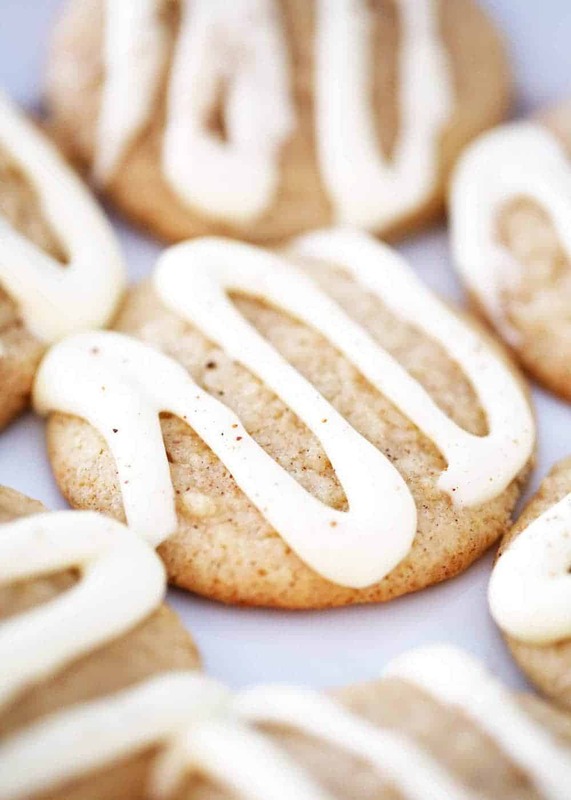 I make these White Chocolate Dipped Ginger Molasses Cookies every year! Everyone always raves about how delicious and festive they are! These are my favorite decorated Christmas cookies to make! 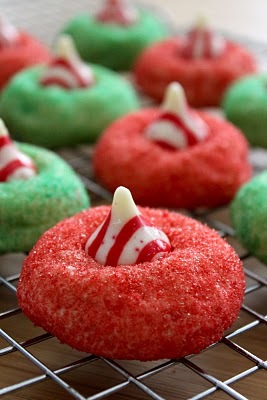 These Candy Cane Cookies would be so fun to decorate with the kids! 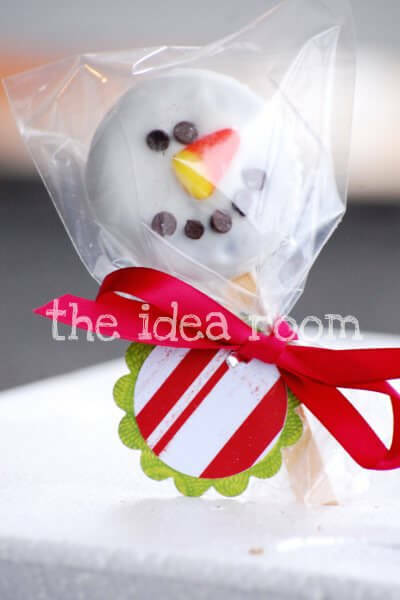 If you’re looking for an adorable homemade Christmas gift idea, these Oreo Snowmen are perfect! 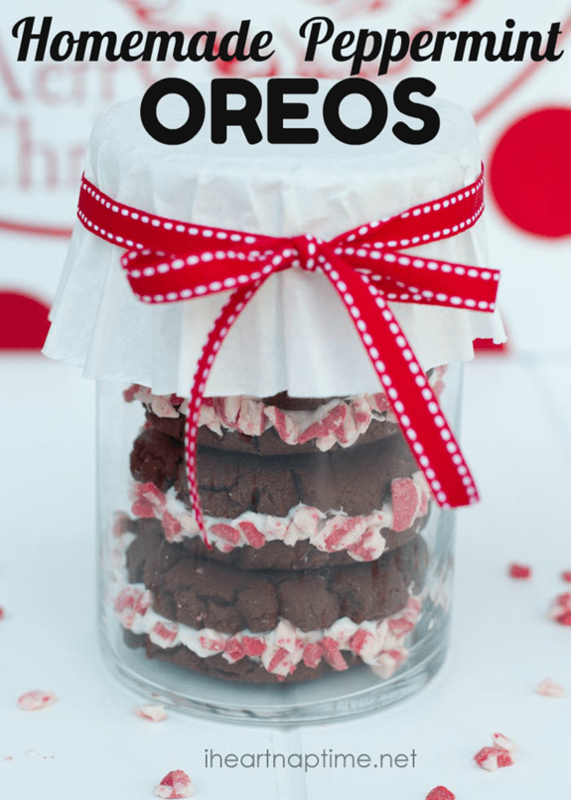 These Christmas Oreos would be a great party favor for a holiday get-together! These Snow Globe Cookies look professional and taste amazing! 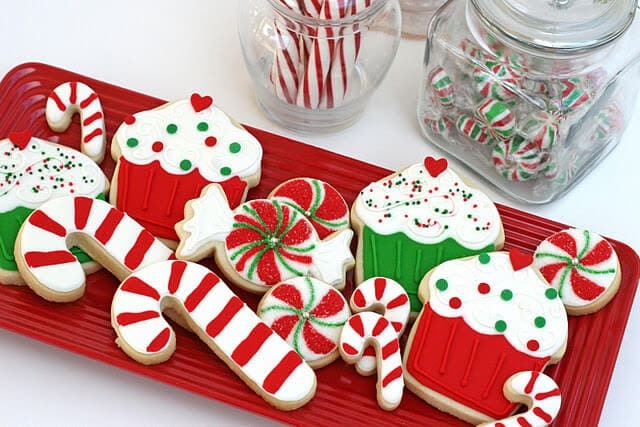 If you’re looking for a red and green decorated cookie, these Cupcake and Candy Cane Cookies are perfect! They are so adorable! These festive Santa Bellies are always loved by everyone! Aren’t they so cute?! 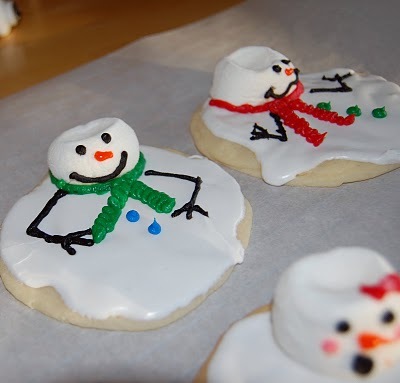 I love these Melted Snowman Cookies! They are so clever and fun to decorate with your family! 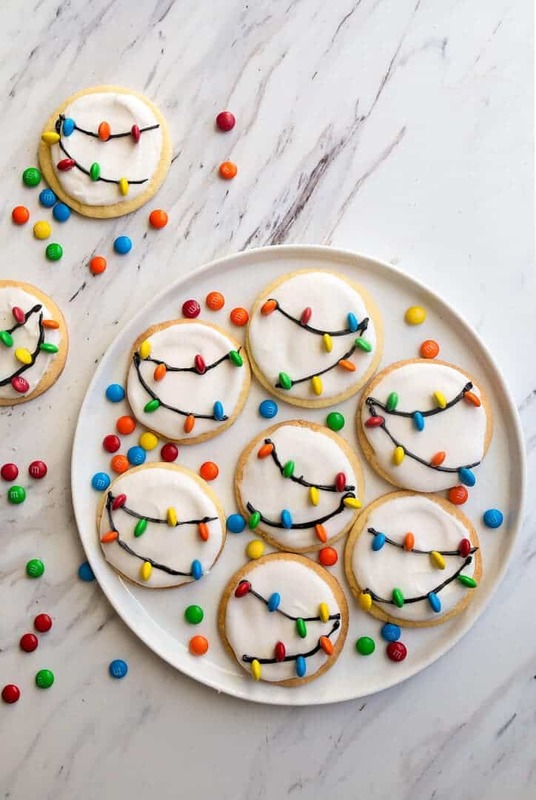 I can’t get enough of these Christmas Lights Cookies! They always stand out and look amazing on a cookie tray! 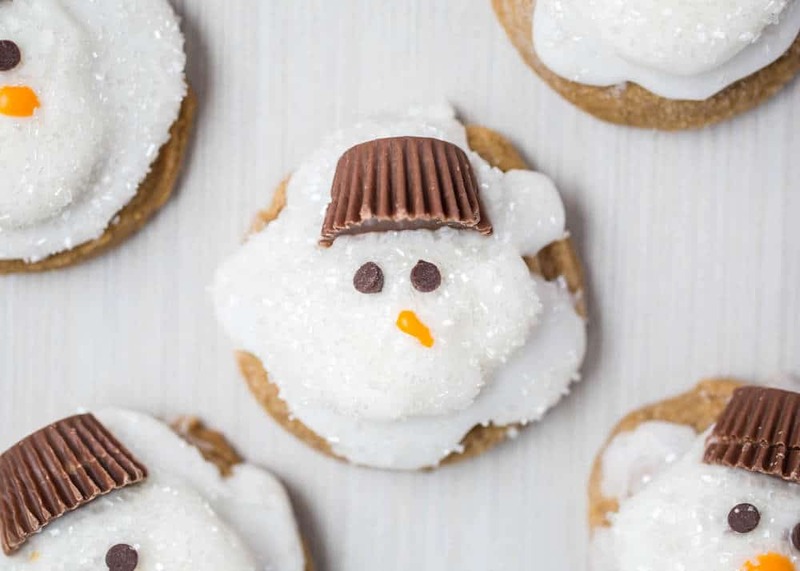 My kids love these Ginger Melted Snowman Cookies! Such a fun treat! Are you a chocolate lover like me? 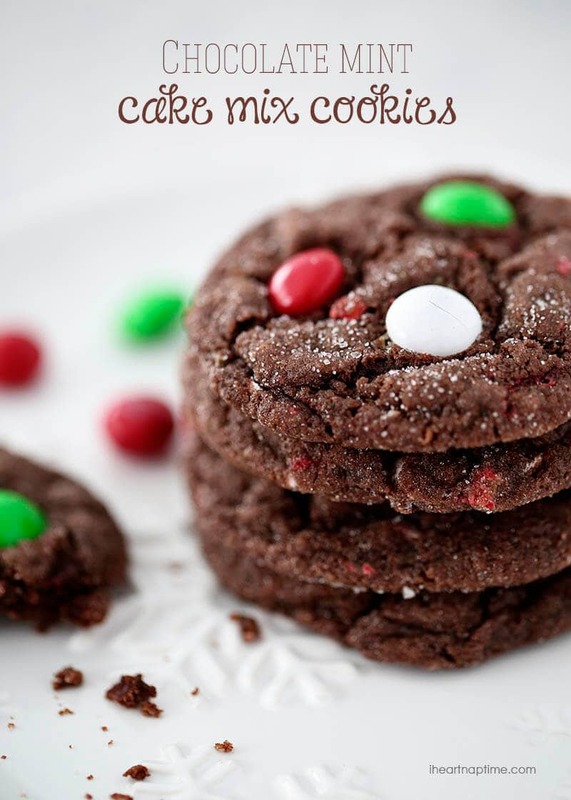 I love all things chocolate, and especially love chocolate Christmas cookies! In other words, the more chocolate…the better. 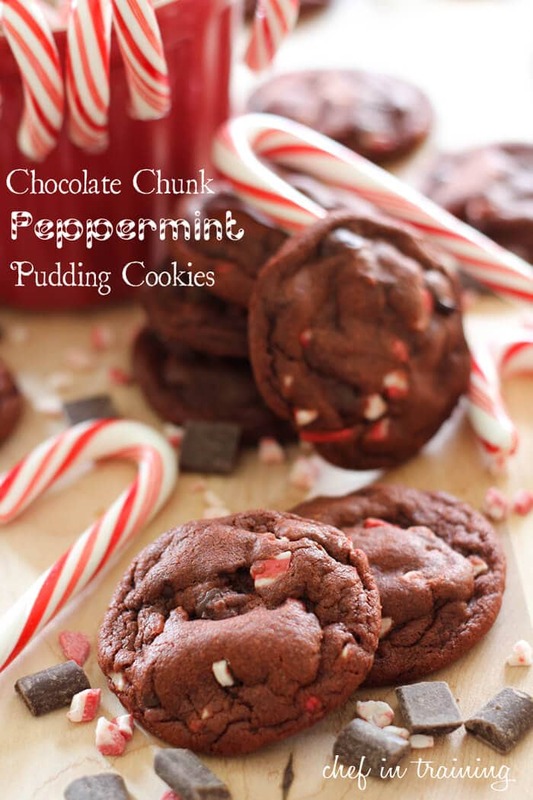 :) There are lots of delicious chocolate cookie recipes below…many of which include peppermint. If you’ve never had the chocolate and peppermint combination, you are missing out! The pair is a match made in heaven. Certainly give some of these recipes for chocolate Christmas cookies a try…you won’t be disappointed! Cake mix cookies are so easy and delicious! These Chocolate mint cake mix cookies are soft, chocolately and have the perfect touch of mint. My favorite thing about these Easy homemade peppermint oreos are the crushed peppermints that are on top of the frosting. So festive! 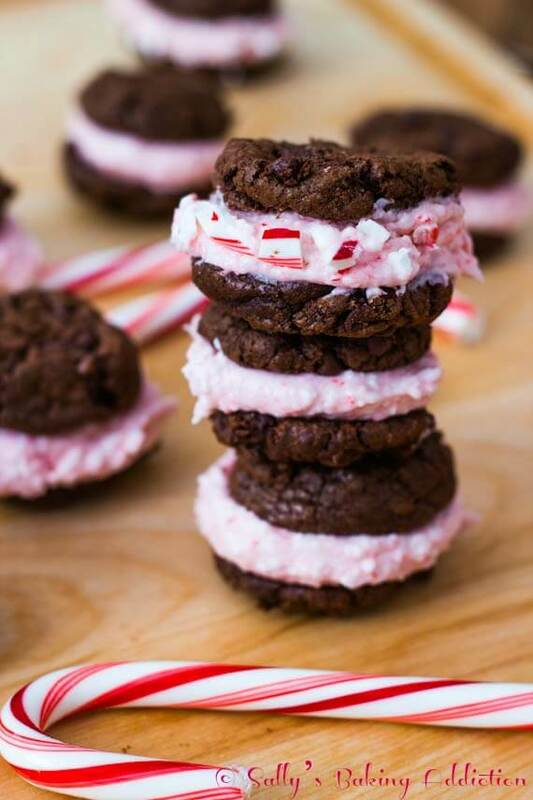 These Candy cane OREO brownie cookies are a chocolate lover’s dream! You can’t beat oreos dipped in brownie batter! 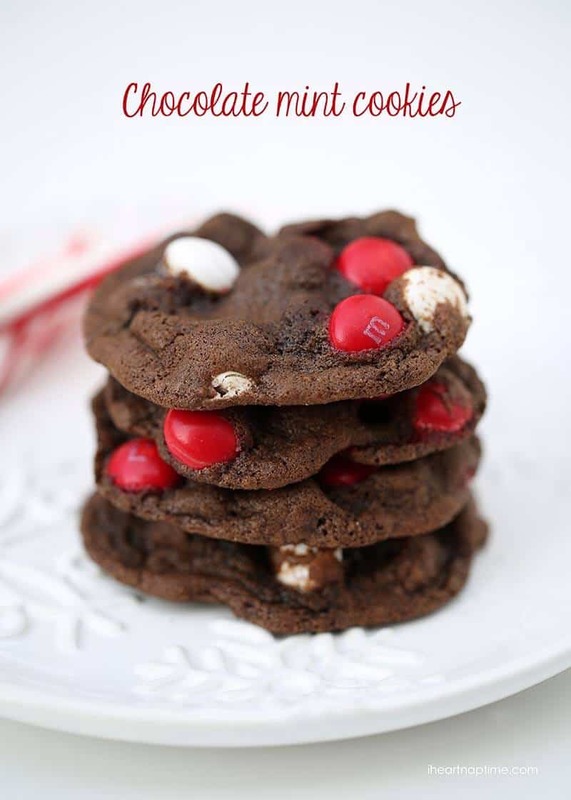 These Chocolate mint M&M cookies are chewy, fudgy and topped with peppermint candies. The perfect Christmas cookies! 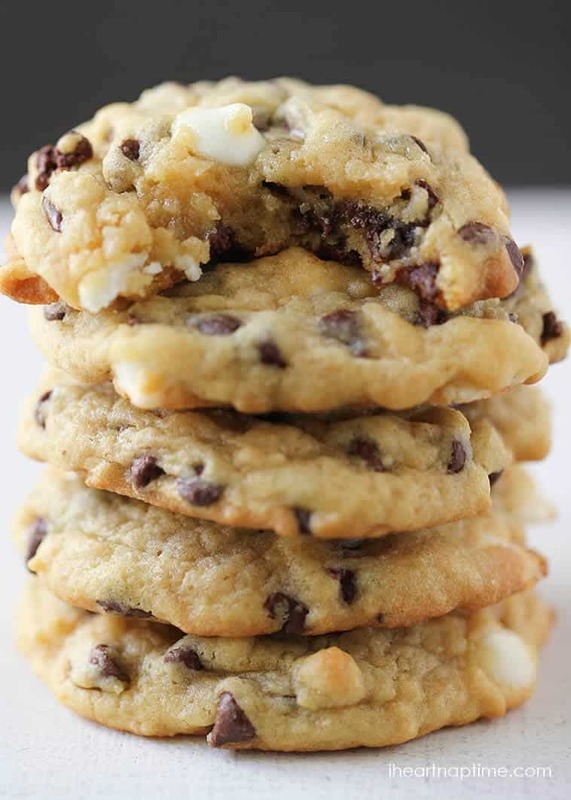 There’s something about chunky chocolate chips that make cookies so much better. These Chunky chocolate peppermint cookies are loaded with chocolate chunks and are the ultimate chocolate Christmas cookies! 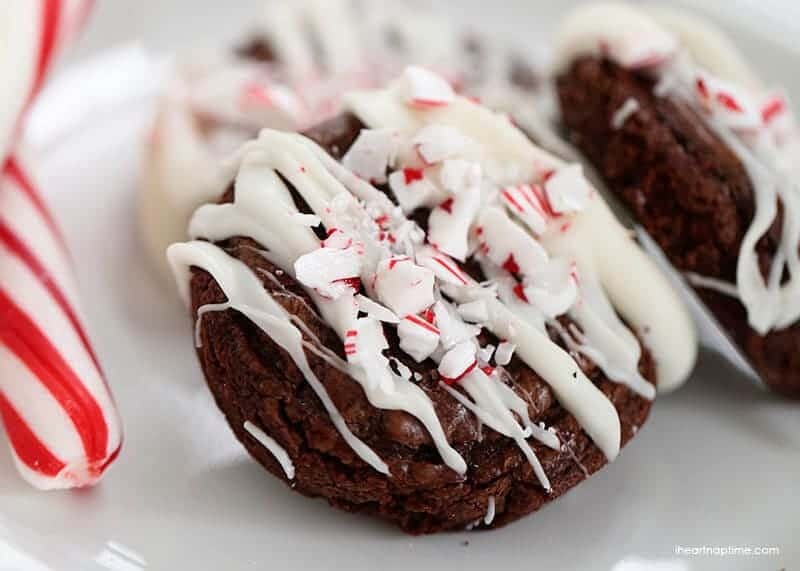 My favorite part about this Chocolate fudge cookie recipe is the candy cane butter cream! It is seriously addicting! 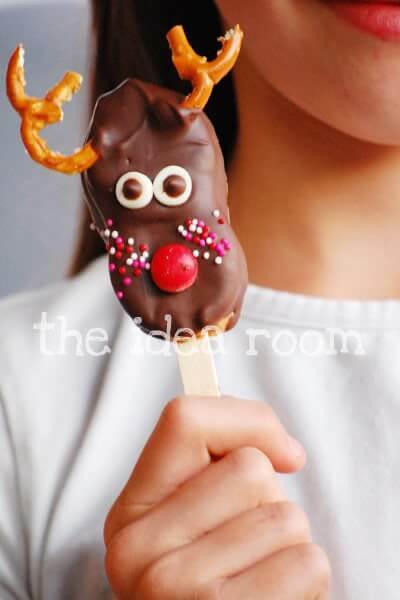 These Reindeer cookies are the perfect holiday treat for kids! So fun! I’m a fudge lover and always make a batch during the holidays. 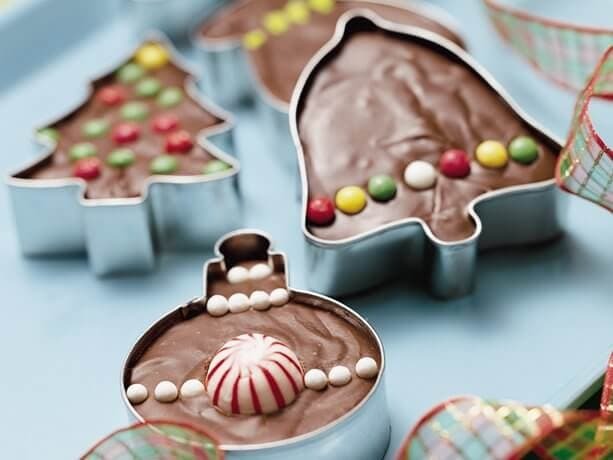 I love the idea of making this Cookie Cutter Fudge into your favorite Christmas shapes! 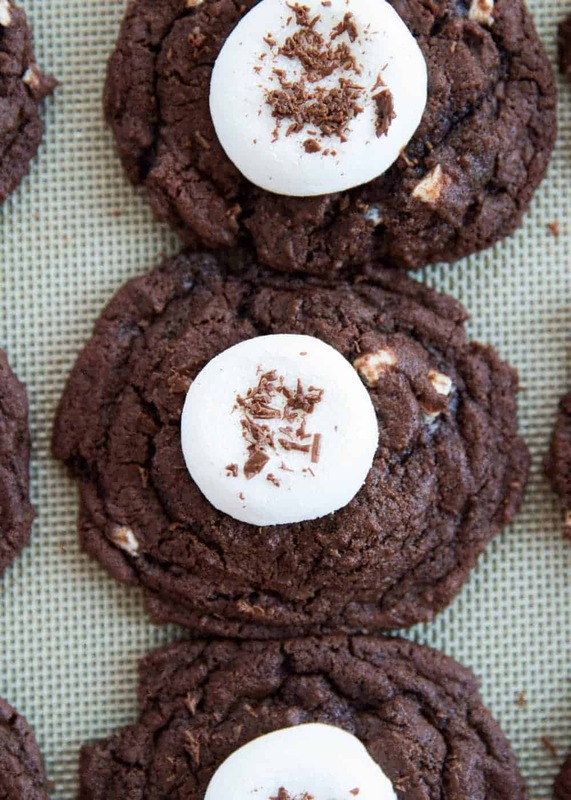 These Hot Chocolate Cookies are my kind of cookie! 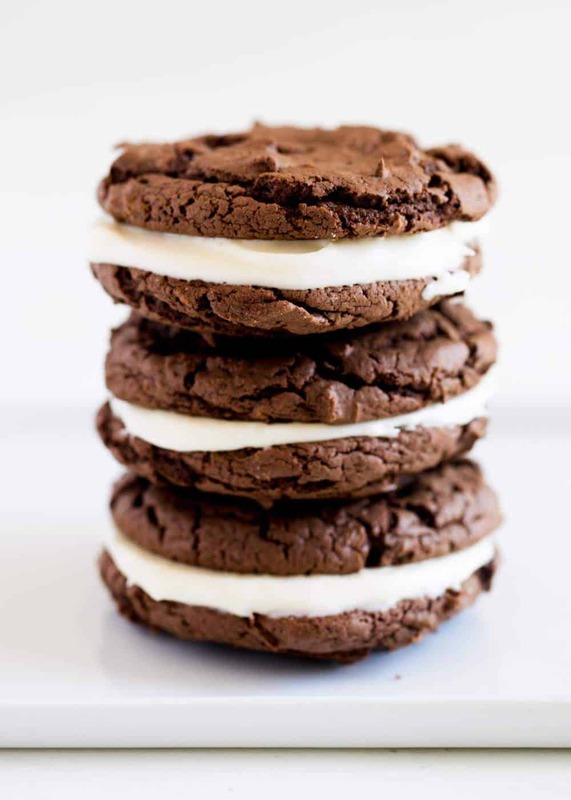 They are super soft chocolate cocoa cookies with a roasted marshmallow on top. Yum! 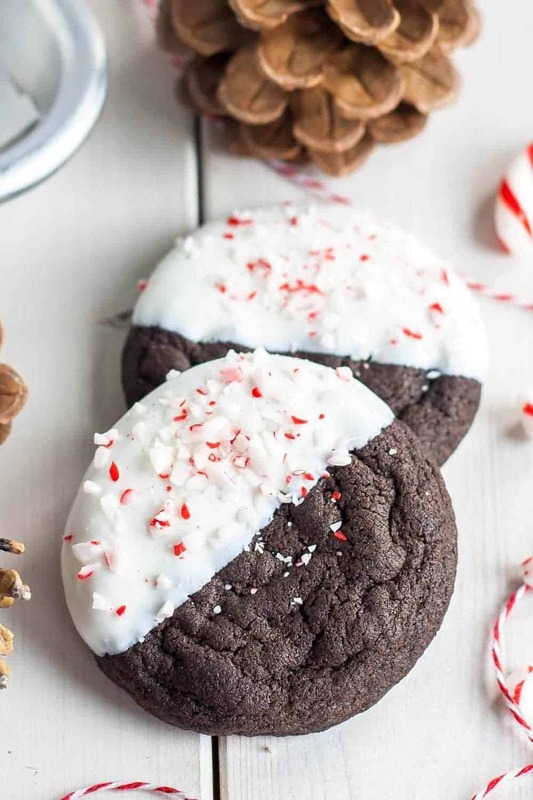 Aren’t these Dark Chocolate Candy Cane Cookies so pretty?! I love the contrast of the dark cookie dipped in the white chocolate! 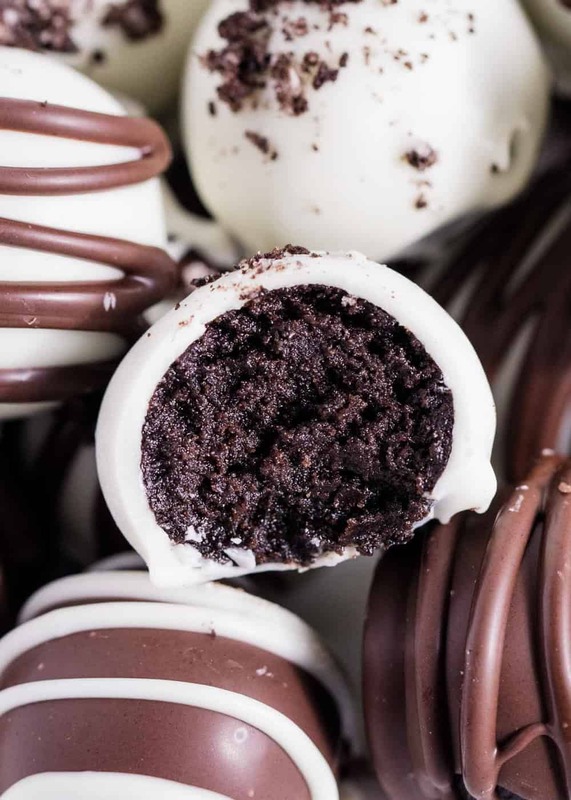 These delicious Oreo Balls are made with just 3 ingredients and taste amazing! Top with your favorite colored sprinkles for a festive treat! 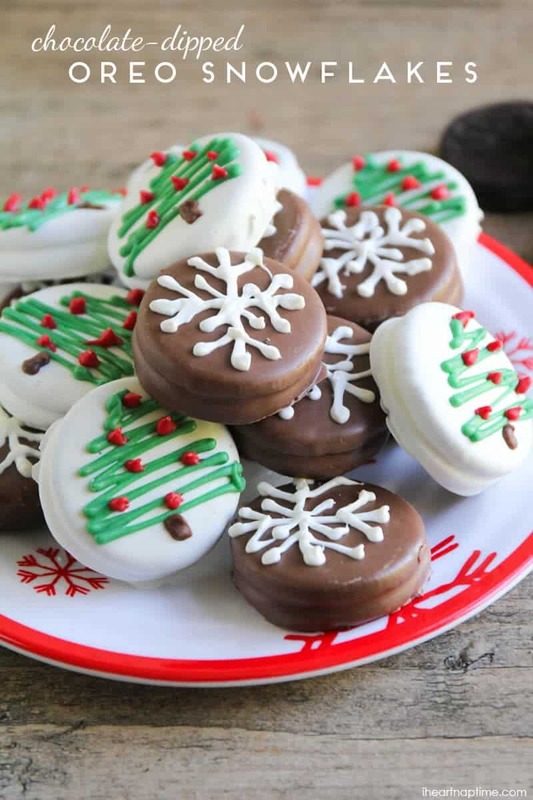 How adorable are these Chocolate-Dipped Oreo Snowflakes?! So fun and festive! 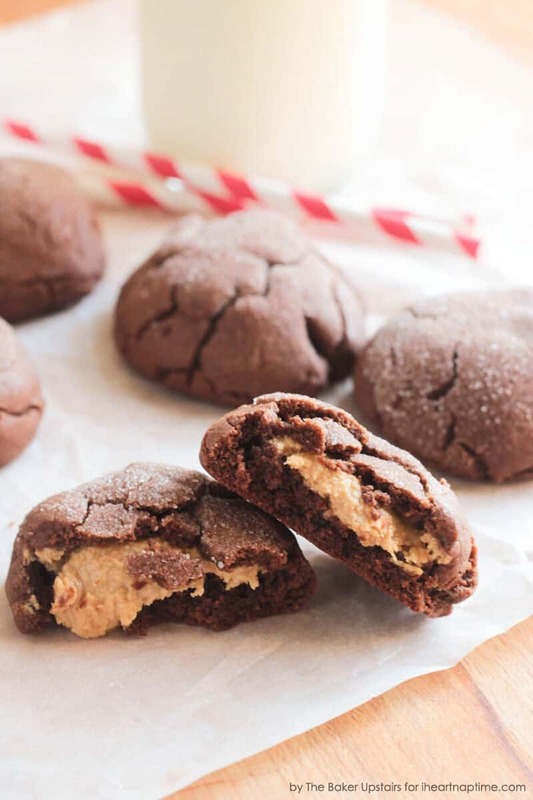 If you’re a peanut butter lover, you will love these Peanut Butter Stuffed Chocolate Cookies! Isn’t peanut butter and chocolate the best combo?! If you’ve never made Homemade Oreos, you are missing out! These cookies are so easy and completely addicting! Below are a few of my favorite kitchen staples that I always use when baking Christmas cookies. Let the Christmas baking begin! So exciting! This is such a great list. I cannot wait to bake from it! This is the best collection!! Christmas cookies bring me joy! Seriously, I love making huge amounts of them and sharing. WOW what a fabulous list! I can’t wait to get started!